The 2019 Basic Training Course is now in progress. 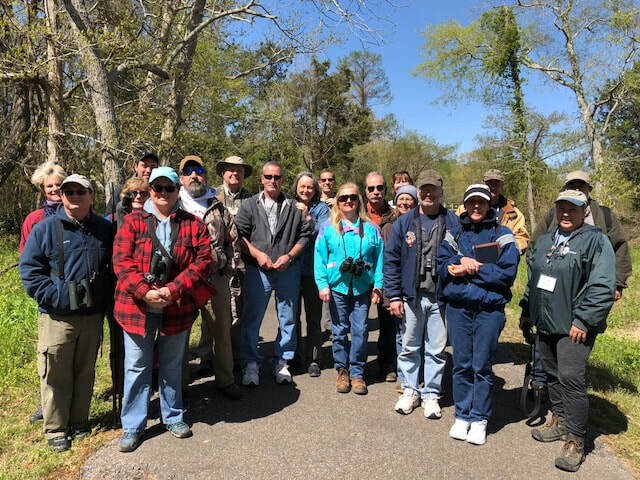 Training to become a Virginia Master Naturalist consists of what amounts to a semester's worth of college level courses taught by local professionals and professors, all experts in their fields. If you have never taken a college course, don't be intimidated; our speakers welcome all questions! If you have taken courses in these subjects, they are all great refreshers! 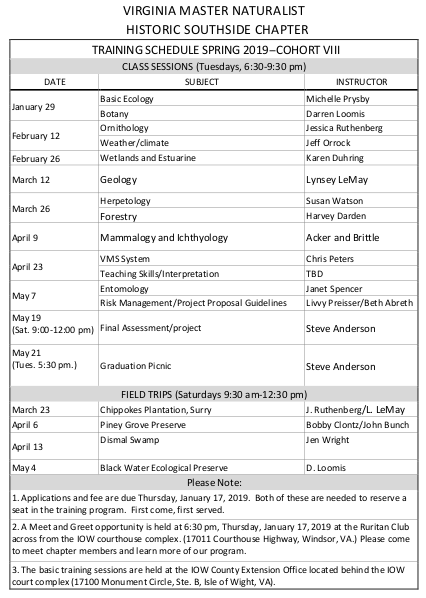 Each January we begin with a Meet-n-Greet event to fully explain the commitment involved in becoming a Virginia Master Naturalist and to provide trainees a time to meet chapter members and learn about the current projects of the Chapter. Training classes typically begin in early February and meet every other week through May. Check out the 2019 training schedule listed below for a sample of a typical training cycle. ​A fee of $125 or $190/couple covers the cost of materials and expenses for the classroom series and field trips. There is no cost for instruction. The fee includes many wonderful nature field guides and books to use for a lifetime of nature observation and work. 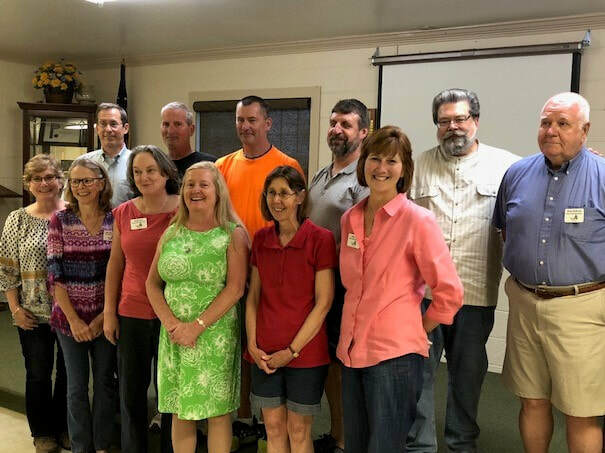 The basic training classes are held at the Isle of Wight County Cooperative Extension Office behind the Isle of Wight County courthouse complex (17100 Monument Circle, Ste. B, Isle of Wight, VA). If you would like more information contact the Isle of Wight Cooperative Extension Office at 757-365-6261 between 9:00 a.m. and 4:00 p.m. Additional Information can be found on the web www.virginiamasternaturalist.org. The application consists of two components, the application itself and a questionaire. As you prepare to apply, you will want to read this training program information.